Richmond, BC, may be Canada’s most anti-cannabis city after its city council voted unanimously to oppose legalization on Oct. 25th, and the city is sending a letter outlining their reasons why to the provincial and federal governments. Richmond also stands out for not having any cannabis dispensaries within its limits and if the city gets its way, it would stay like that. The city has asked for increased powers to regulate cannabis that, if granted, would allow them to ban cannabis sales outright, but that is not guaranteed yet. Ignoring how misinformed it is to compare cannabis with fentanyl, everyone can agree that the opioid epidemic is a crisis. But legalizing cannabis will not make it worse, as some are suggesting. It could actually make things better- since legalizing cannabis two years ago, Colorado’s opioid-related deaths have dropped by 6.5%. But Richmond is also standing against popular opinion in BC with 70% of the province supporting legalization in a recent Insights West survey. The Richmond-based July 2018 Marijuana Legalization Concern Group also opposes legalization completely, and they want the federal government to postpone or suspend the July 2018 deadline. The group is asking for a higher minimum age than what BC is proposing, and also wants a ban on edibles and personal cultivation- all in the name of protecting children. But with tobacco and alcohol allowed at 18 and 19, respectively, at least it’s in line with their recommendation that cannabis be treated more strictly than alcohol or tobacco, but at the same time, they also offer no justifications for why cannabis should be treated more strictly. They contradict themselves in their recommendation to be strict on illegal cannabis operations while opposing legalization entirely because their position only encourages a thriving illegal market. If they have their way, either people will continue to illegally buy cannabis in Richmond, or drive to a city that allows sales. Also, banning edibles and personal cultivation in the name of protecting the children is conflating two separate issues. With edibles, there is a chance that kids could accidentally eat them and that’s why they need to be clearly labelled and kept out of their hands- but that also applies to anything in our medicine or liquor cabinet. Besides, edibles have many benefits such as being less harmful on the lungs, for one. To ban edibles gives cannabis users less freedom because not everybody likes to, or even can, smoke cannabis. If a child was nibbling on a cannabis plant they won’t get high because you need to prepare the leaves and decarboxylate it in order to activate the THC. Many do this by smoking it. As we can clearly see, many of the group’s recommendations suggest a fundamental lack of understanding of cannabis and the good it can do. Is Richmond too conservative for cannabis? As Coun. Carol Day told CBC, “This is a suburb. We’re not the heavy duty nightlife of Downtown Vancouver and the action-packed thrill of adventure of Surrey. In Richmond, we tend to live a more conservative lifestyle”. 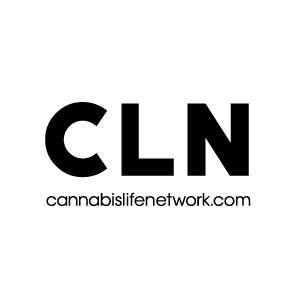 Change.org: Delay the legalization of Cannabis. The Georgia Straight: New data continues to support the idea that legal cannabis access leads to fewer opioid-related deaths. Globe and Mail: Richmond, B.C., pushes back against sale of legal cannabis. Richmond News: City council sticks by anti-pot position. Richmond News: Crusade launched in Richmond to postpone marijuana legalization.